Deck the Halls with Boughs of Barley! Thanksgiving is right around the corner, and that only means one thing: the world will act as if this holiday doesn’t even exist and start planning for Christmas. It’s not like it’s unwarranted. The holidays are a huge undertaking, particularly if you have to play Santa for a brood of children. It’s Stressgiving. This holiday, you’ll want to deck the halls with Boughs of Barley! “What’s that?” asks the random person we just made up in our heads, who’s drooling slightly at the prospect of an as-yet-untried CMBC brew. Barleywine. Bourbon barrels. Bottle conditioned. Boughs of Barley. We’re pretty sure we’ve brewed this entirely for the alliteration. So we did. We made that bad boy barleywine even badder. If you’ve been to the brewery lately — or if you’ve been keeping up on what’s going on down here by faithfully reading Straight to the Pint — you may have noticed that we’ve been doing quite a bit of barrel-aging lately. But the nautically-themed Barrel Aged Series has been aged in red wine barrels. And it’s not just the rarity of this brew that makes it outstanding: barleywines age rather nicely in oak casks because the high alcohol content extracts more of the flavors from the barrels. 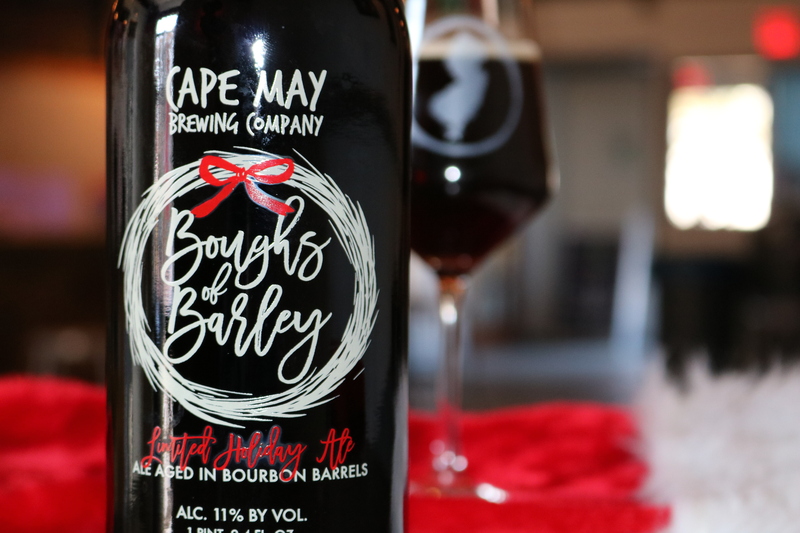 “The oak and vanilla flavors we pick up from the wood really complement the strong malt flavors that have a dash of toffee as well as the extra sweetness from the higher alcohols in the barleywine,” Jimmy says. Boughs of Barley will pair rather well with some of the more traditional holiday dishes like turkey and gravy or a roast, and it will complement some desserts nicely, as well. Your chocolate cake or crème brûlée will never quite be the same. Like the beers in our Barrel Aged series, Boughs of Barley is bottle conditioned. And we can’t wait for you to try Boughs of Barley. Brian likes brewing these beers because, boy, he enjoys imbibing them, but he also looks forward to beholding how you guys like them. Bottles of Boughs of Barley can be bought from the Brewtique for 18 bucks beginning Black Friday! Our doorBuster sales begin at 9am. Be there! This blog has been brought to you by the letter “B”.